I am loving making these! I have sooo many ideas for different animals… I can’t wait to get them all done lol. 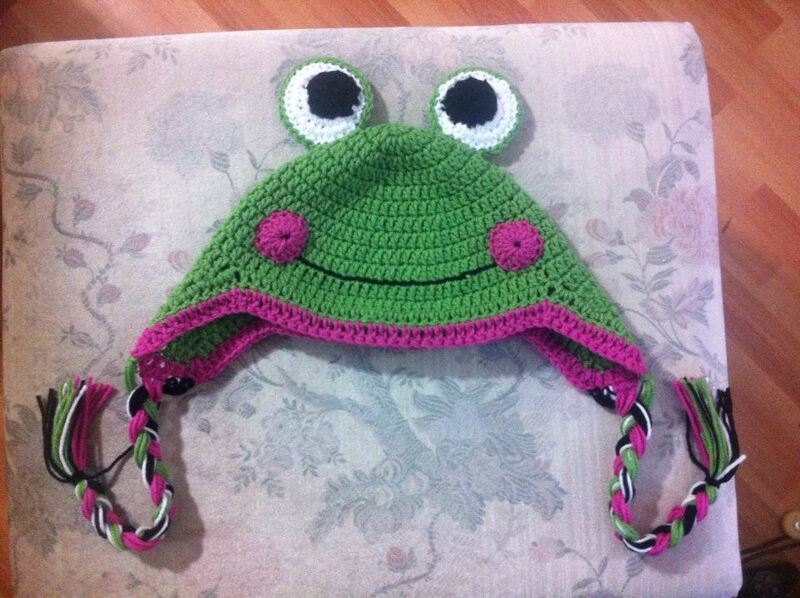 My friend loves frogs so she asked if I could make a frog hat for her. At first I was like “ohh man I just dunno”, but then I googled images of frog hats and really, it didn’t look all that difficult. I LOVE how it turned out! The green is perfect.. bright yet not neon. And the eyes.. ohmygoodness. I had it on my desk waiting to be given to her and everytime I passed it I literally lol’d. Needless to say she loves it too. 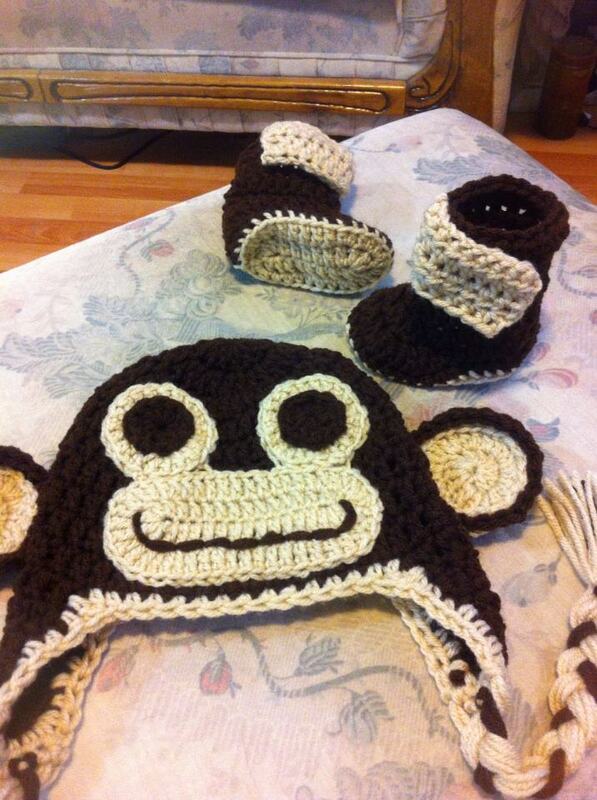 She also wanted hats for her two boys. She chose puppy dogs. 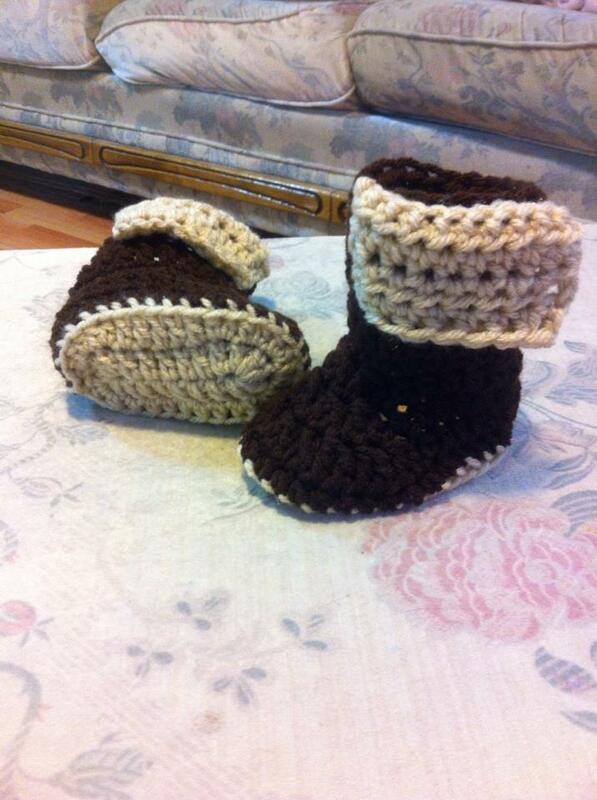 I did both in tan, but so they are different I did the ears on one black and on the other chocolate brown. I also put the patches on opposite sides. So many of my friends are pregnant.. and due in the same month. 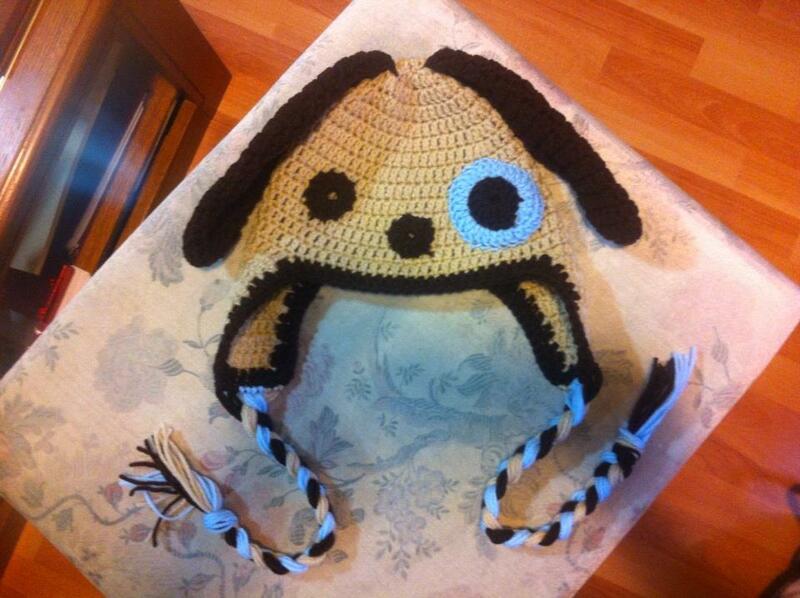 As soon as I said on FB that I was going to start making animal hats I had quite a few orders come in. 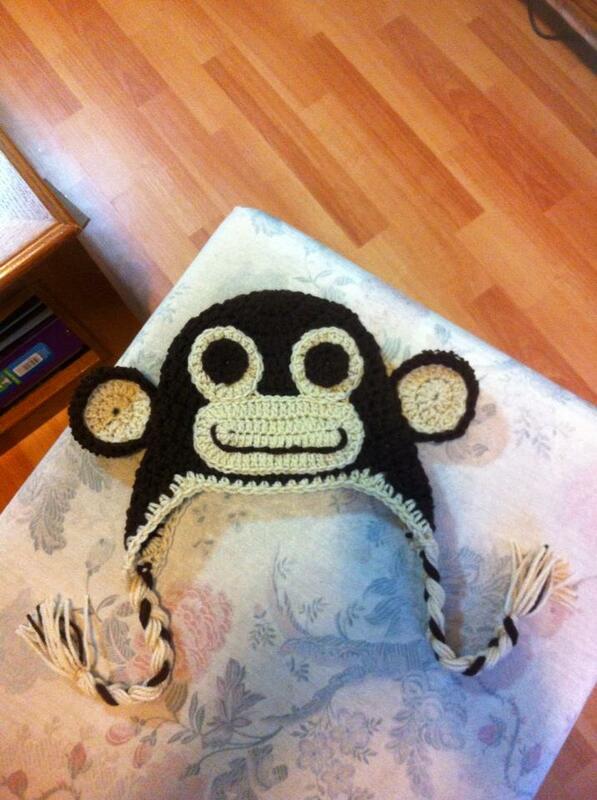 My other friend wants a monkey for her little monkey. I like how it turned out. She also wants booties. I just need to add the buttons on these guys. I can’t wait to see him in the set. 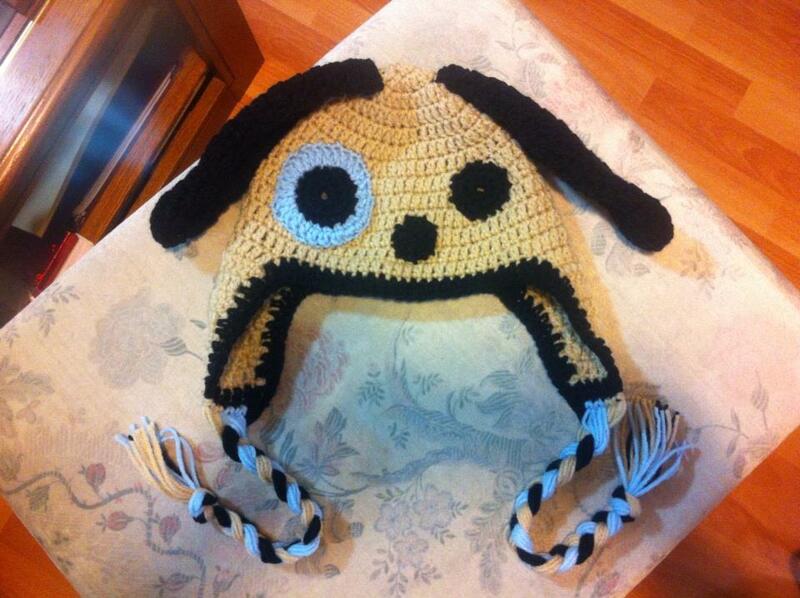 Up next will be a kitty hat, and not like the HK hat.